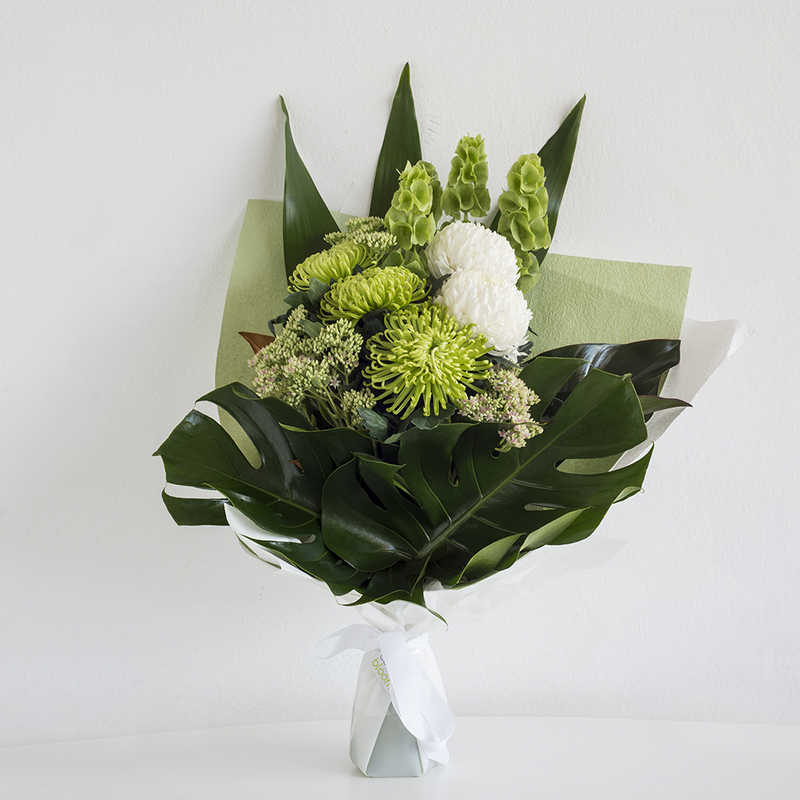 White and green seasonal flowers arranged into a sheath bouquet. Designed by our florists using the best blooms in season this is an arrangement designed with a natural, flat back which traditionally is presented at a service as a loving tribute. Your bouquet will be beautifully gift wrapped, finished with a water bag and ribbon and comes with a complimentary gift card for your personal message. If you are unsure of what flowers you require for a funeral or bereavement arrangement call our friendly florists to discuss or view some examples of other arrangements here.